The serpent was a cunning creature in the Garden. His war on God’s word was waged in the name of human freedom. Echoes of that attack have been ringing throughout history. How can man be a free being if God places restrictions on him? The battle cry goes something like this: For man to truly be a free being, we must rid ourselves of God. 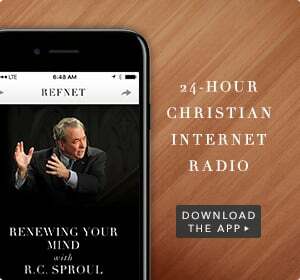 In this message, Dr. Sproul discusses the penalties God imposed on Adam and Eve according to the stipulations of the creation covenant, and reminds us of the grace that He gave to those who used their freedom to rebel against Him.